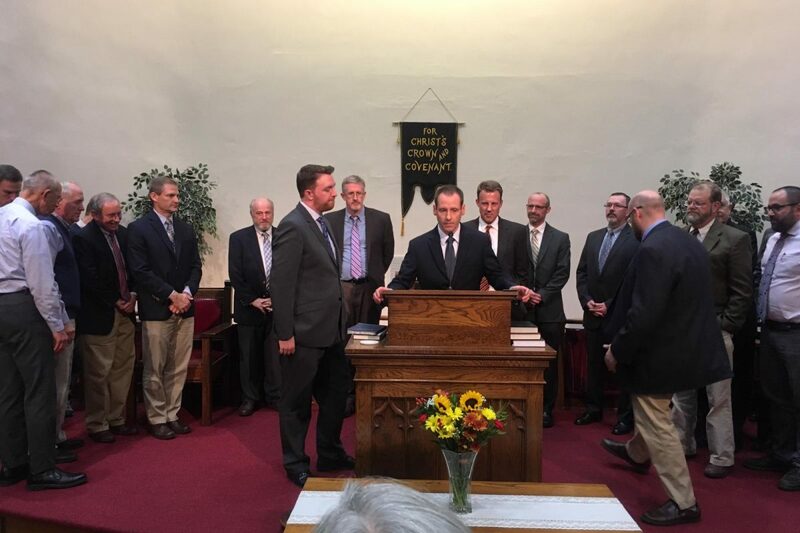 At a meeting of the Great Lakes Gulf Presbytery on Friday 9th November, Rev Philip McCollum was officially inducted as Associate Pastor of Bloomington RP Church, Indiana. Pastor, Rev Rich Holdeman (also Bloomington RP) preached the sermon entitled “He Went Out”, taking Hebrew Ch 11 as his text. You can listen to the sermon here. The meeting was followed by a cake reception.